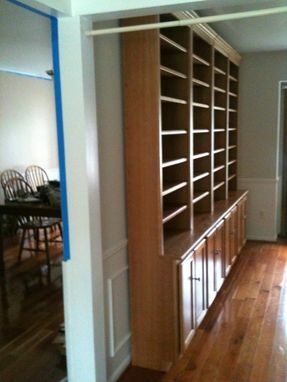 Instead of built-in cherry bookshelves, the customer preferred "stand alone" bookcases so they could be moved from room to room, or taken with the customer if/when the house was sold. However, the four (4) bookcases were locked together & secured to the studs in the wall. Another major concern was that the customer had numerous books and paperbacks of various sizes to store; ample adjustable shelving was a top priority! 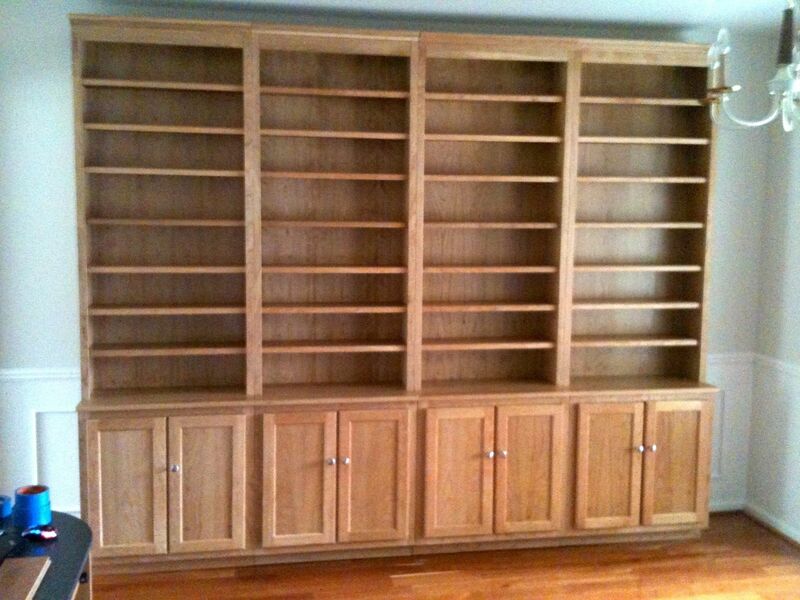 Finally, the customer requested a lower storage section with doors with one (1) fixed shelf inside. To protect & bring out the beautiful pattern and color of cherry, the customer preferred a sprayed lacquer finish. Each bookcase was also given a final light coat of wax and hand rubbed to a satin finish. Within a 24 hour period, the customer had completely filled the 4 cherry bookcases & suggested that a 5th bookcase was probably necessary!